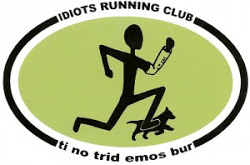 Haven’t run in 2 weeks…been resting the knee which I tweaked 6 weeks ago at the Oil Creek 100 and then ran 2 more marathons over the next 30 days…yep, crazy idiot stuff which qualifies me for the IRC, Idiot Running Club, (a real club…thinking of joining)… but it was for a fundraiser, $4500, to support the Leukemia and Lymphoma Society and cancer research…worth every mile! This entry was posted in Executive Coaching, Running, Success Quotes and tagged balance, Coaching, Executive Coaching, Idiot Running Club, Leukemia and Lymphoma Society, LLS, Marathon, Motivation, Oil Creek 100, Running, Success, Team In Training, TNT, Ultra-marathon. Bookmark the permalink.